we can do according to customer's request Payment T/T, Western Union or paypal, L/C, ect. 2. How's our production time9 1 to 3 days for ordinary products. 3. How about the payment9 We accept T/T, 30% deposit, and 70% T/T before delivery. (5) 100% water resistant and long lasting Hardware: Stainless steel Color: Pink ,Black , Brown, Tan Brown colors Our Advantages: (1) Delivery on time. Packing & Delivery As per Demand , We pack all the products, using quality packaging material to ensure safe and secure transportation. The packaging is carried out under the supervision of our team of packaging experts, which monitors each & every activity pertaining to this process. 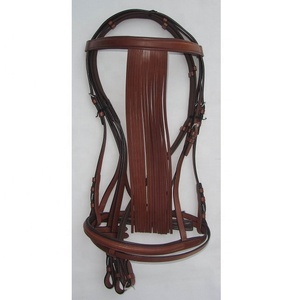 Handmade traditional Spanish bridle made from top quality tan coloured leather pierced leather over white leather with the tassel on browband mosquera that drapes over the horse's face to keep away flys and insects. We make use of finest quality leather, threads and other raw materials in the manufacturing process therefore, the end product we offer are bound to be of extremely high quality standards . Buyer Quality Assurance We have won International Quality Crown Award in 2012 Measurment quality assurance Quality Measurment quality assurance with all orders . Colors availability are black,brown,tan etc. 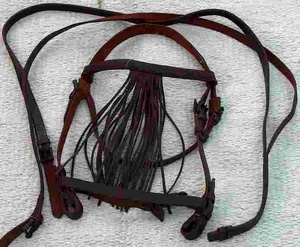 Modern Spanish horse bridle with matching leather Mosquero. Colors availability are black,brown,tan etc. 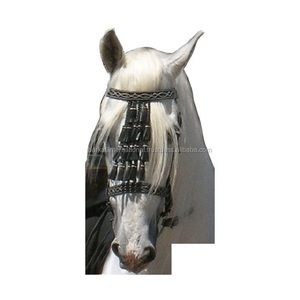 Alibaba.com offers 238 spanish bridle products. 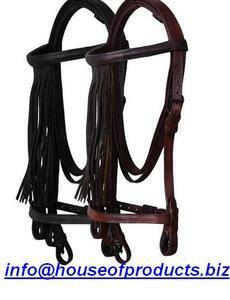 About 42% of these are other horse products, 6% are saddles, and 5% are halters. 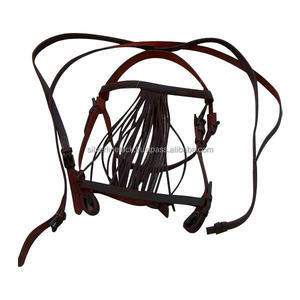 There are 135 spanish bridle suppliers, mainly located in Asia. 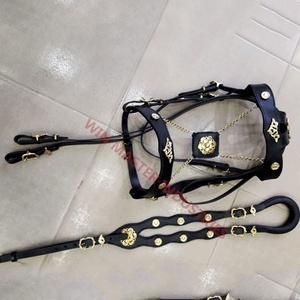 The top supplying countries are India, China (Mainland), and Pakistan, which supply 62%, 24%, and 12% of spanish bridle respectively. 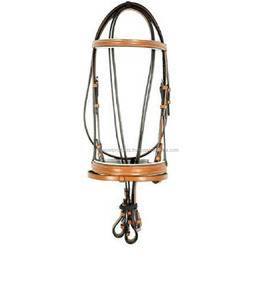 Spanish bridle products are most popular in Western Europe, North America, and Eastern Europe. 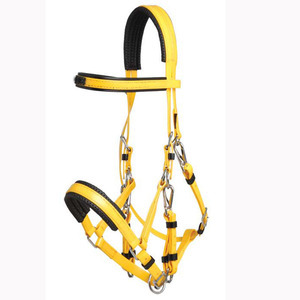 You can ensure product safety by selecting from certified suppliers, including 8 with ISO9001, 7 with Other certification.